Our music school offers bass lessons Mississauga residents learn so much from. For the young beginning bass student, all the way to professional level players. Our bass guitar lessons teach beginners the very basics of playing the electric bass guitar. Basics such as tuning, sight reading music notation, and proper left and right hand technique. Bass Players are the exciting, rhythmic drive and also the real power behind a song. Thats why our bass lessons curriculum emphasizes developing a strong rhythmic ability. Our bass Students are thrilled to learn other very popular techniques such as slapping and popping, also how to play bass with other musicians, and furthermore: learning to play their favourite songs. A National Academy of Music bass teacher is experienced, professional and great with kids too. We teach a wide range of musical styles, and any aspect of music a bass student may wish to inquire about is welcomed and fully explored. Our Mississauga music school bass curriculum also includes, theory for bass, scales, warm-up exercises, walking bass lines, and patterns to develop original riffs, songs and solos. You will find great value in our selection of electric bass guitars for rent or sale. We also carry bass amplifiers and bass guitar accessories. 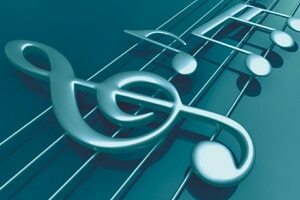 Music Conservatories are a wonderful place to supplement education, so if you are Googling Bass lessons Mississauga, Toronto, Brampton, Etobicoke, Oakville, or Milton, National Academy of music is your perfect choice, because a perfect blend of learning and fun, that is what our bass lessons are based on! Contact National Academy of Music today to start your bass lessons in Mississauga. There are no required long-term commitments and you begin with private bass lessons! To start your bass lessons, call us at (905) 502-8989. Bass Lessons Mississauga residents can have fun with can learn at the same time!